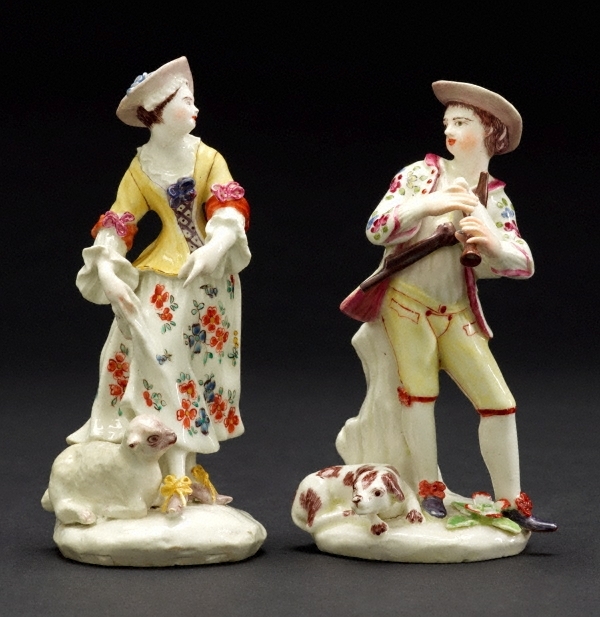 This figure and the dancing shepherdess (L2010.207) are perhaps copied from the virtually identical (though larger and crisper) pair produced at Derby c1752–55, possibly modelled by Agostino Carlini. 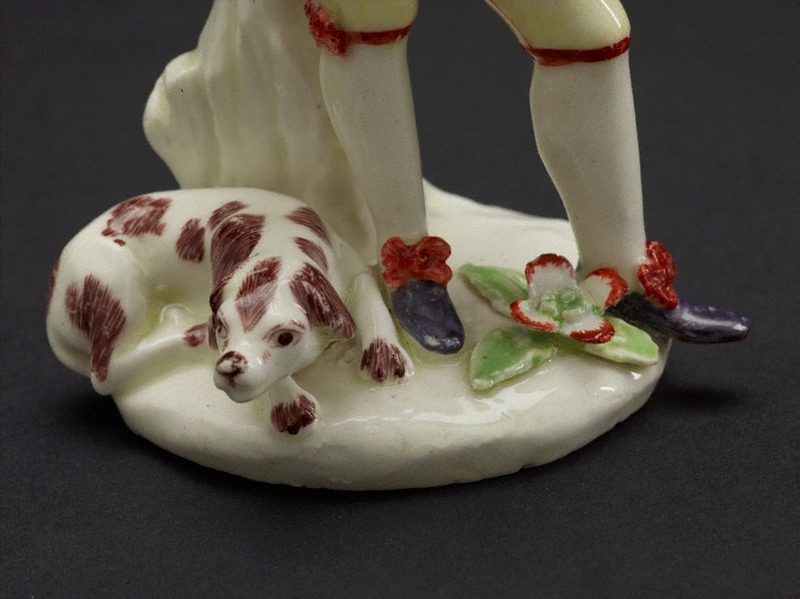 The Bow and Derby figures perhaps both derive from a common source, but no exact Meissen prototype is known. 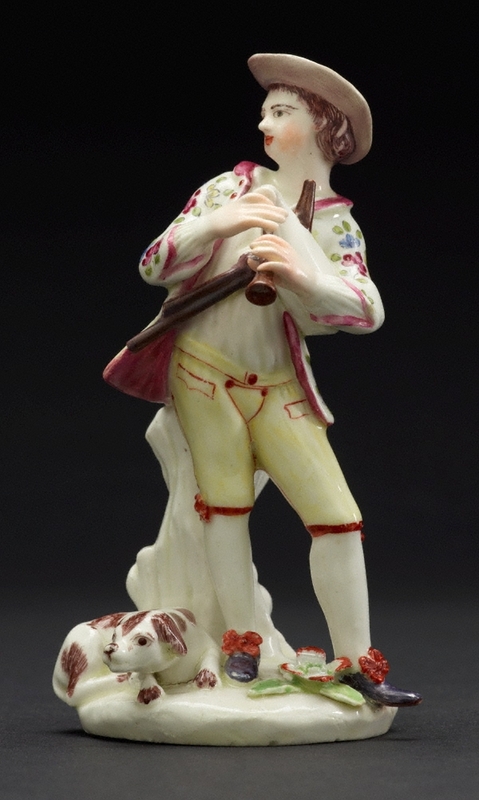 The figures are well dressed and represent well-to-do gentlefolk in masquerade costume rather than cheerful rustics. The figures were later reissued on rococo scrollwork bases.